I’ve been a math geek for as long as I can remember. When I was in school, I would devise complex mathematical equations and then solve them. That was my idea of fun. I couldn’t imagine why anyone would hate math. My math geekery isn’t just limited to solving equations, though. I also love certain kinds of numbers. If I have a blog post with 495 words, I feel compelled to bring that total up to 500. A few years back, on December 12th, 2012, I loved seeing the date turn to 12/12/12. Few numbers fill me with delight, though, as palindromes. In case you’ve forgotten the grade school lessons, palindromes are strings that read the same backwards as forwards. For example, "A man, a plan, a canal, Panama" reads the same both ways. You can have palindromes using numbers as well. If you read 10,401 backwards, you get 10,401. This week is a palindrome week. It began with 5/10/15 (i.e. 51015), continued on with 5/11/15 (51115), then 5/12/15 (51215), etc. Palindrome week will actually continue through to this coming Tuesday with 5/19/15 (51915). It will end on the 20th since 5/20/15 isn’t a palindrome. 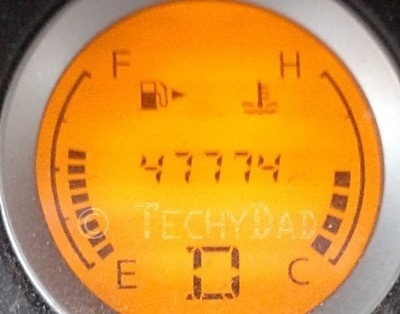 That’s palindrome mileage on palindrome week! By the way, this post is 313 words long so this post itself is a palindrome. I’m also posting it at 8:38 AM. The math geek in me is very happy!